Getting to know Tim Meyer started on Twitter a couple years ago. Since then, I’ve discovered his warped wit with a crazy bunch of Horror Cvlt Live Chat members and enjoyed a little Fun In The Sun time with him just off the Mexican coast via his novel Sharkwater Beach. After reading that, I knew I just had to get an interview. Thankfully, Tim thought it was a good idea, too! 1. Stephen King is quoted as saying, “If you don’t have time to read, you don’t have the time (or tools) to write.” Every writer I know also spends a great amount of time reading. What was your favorite book as a kid and how have the books you read back then influenced you as a writer today? Great question! Hard to pick just one, but Jurassic Park was a book I read a lot when it first came out. I was around eight at the time and I remember reading it over and over again. Still have that paperback copy and it has pretty much fallen apart since then. Also the GOOSEBUMPS series by R.L. Stine. I had every single book and read them constantly. Those really influenced me as a writer and were also my “gateway” into horror fiction – authors like Stephen King and Robert McCammon. I fell in love with the genre, hard. I think when you read my stuff today, you can definitely see the impression GOOSEBUMPS left. I always enjoyed how Stine took your average kid with real-life issues and threw them into these crazy situations – much like King does too. I think you can see a lot of that in my work. 2. For some writers quiet and solitude are paramount to a successful writing session. Others seem perfectly capable of writing in crowded and noisy coffee houses. Describe your writing space and what works best for you when it comes to writing productively. I have my own office. It’s surrounded by horror movies, toys, and a giant bookcase with way too many books! I do most of my writing there. I try to wake up at 5 every morning, before my wife and three-year-old. Doesn’t always happen, but usually I can do that five days of the week. I’m most productive during those early hours. I listen to music and drink about 40oz of coffee an hour. Okay, maybe not that much. But, coffee. A good amount of that. I’ll also try to steal moments here and there. If my wife is working late, I’ll try to squeeze in 1,000 words before bed. I’m not opposed to writing in a coffee shop or in loud places. I’ve gotten pretty good at writing with Mickey Mouse on in the background. I also enjoy a good writing session at the local library, but that doesn’t happen too often. 3. Earlier I asked about your favorite book growing up. When did you actually start writing stories for yourself? Was it something you’ve always been interested in or did it happen later in life? What was the very first story you can remember writing? I’ve been interested in writing as early as the fourth grade. My fourth-grade teacher made us write a novel for a class project. It had to be ten pages or so with pictures. I, of course, wrote about me and my friends crash-landing on a deserted island populated by carnivorous dinosaurs. After that, I guess you can say I had been bitten by the story bug. I started writing stories, doodling comics, and making movies with friends. I’ve always enjoyed telling stories, no matter the medium. 4. “A writer never takes a vacation. For a writer, life consists of either writing or thinking about writing,” or so once said playwright Eugene Ionesco. I couldn’t agree with him more, but there are times when I’m not writing and pursuing other interests. What others activities or hobbies do you have that are totally unrelated to being an author? Well, I love spending time with my wife and kid. That’s the best. I’m a big sports fan, so I enjoy watching and playing sports. Big into fantasy football. I enjoy craft beer, exploring different breweries and sampling their various concoctions. I’m a movie buff, so I watch a lot of them. I podcast, co-host the Aperture Hour Podcast on The Project Entertainment Network. We talk about movies and TV shows and have weekly trivia. It’s a lot of fun. I buy way too many horror t-shirts. 5. Tell us a bit about your latest release and what can we expect next? I know you must have something in the works! Where can readers learn more about what you already have available and keep up-to-date on all things Tim Meyer? I recently had two books come out. 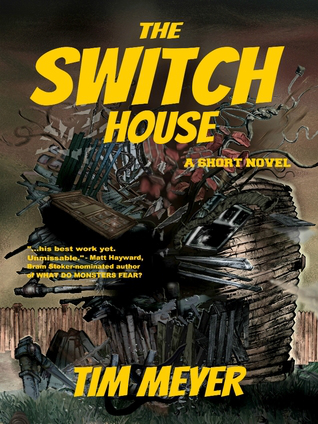 The first is called THE SWITCH HOUSE. It’s about a husband and wife who come back home after going on a house-swapping reality television program, only to find their house not the way they left it – in the spiritual sense. They think it might be haunted or cursed, and that’s when the crazy stuff happens. It’s getting a lot of good reviews and I’m really proud of how it’s being received by readers. 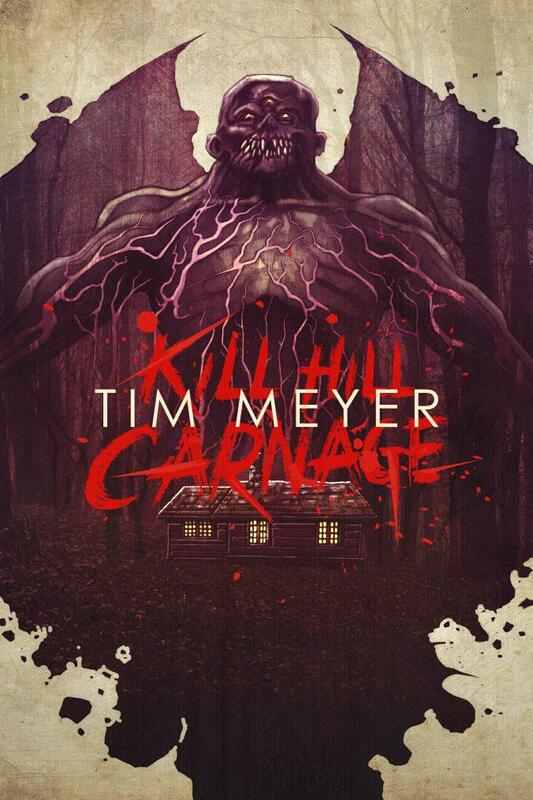 The other is a nasty novel titled KILL HILL CARNAGE. You can probably tell by the title that it’s about puppies and rainbows and happiness. Nah, it’s basically EVIL DEAD meets FROM BEYOND meets LEON: THE PROFESSIONAL. It’s my love letter to late 80s/early 90s horror. I have a bunch of stuff in the works. Currently shopping a novel called DEAD DAUGHTERS. Just finished the first draft on a lost world/adventure horror novel involving inter-dimensional time travel and lots of dinosaurs. Recently wrapped up a novel I’m co-authoring – that one is about pirate ghosts and ancient sea monsters. Oh, and I’m also in the middle of plotting out the final two books of the SUNFALL series, which I co-author with Chad Scanlon and Pete Draper. Might have a new short story collection available next year. So, all that and a bunch of other projects that I can’t talk about yet. 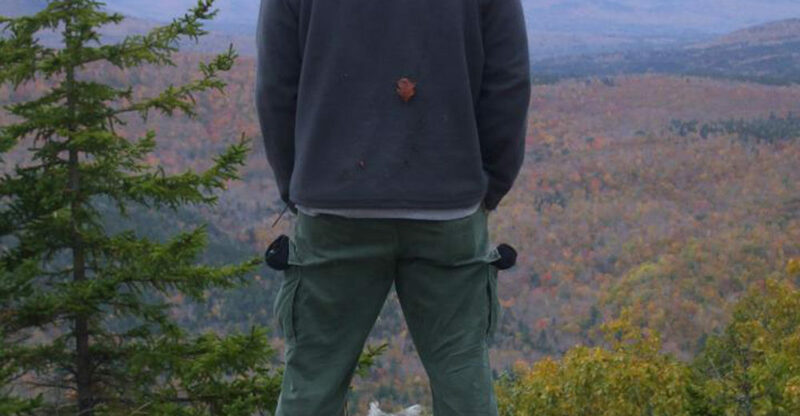 Best way to keep up with me is probably Twitter (@timmmeyer11) or over on Timmeyerwrites.com and sign up for the newsletter. For me, writing has been a life-long passion. When did you first get the writing bug and what were some of the earliest stories you wrote about? I never even considered writing fiction until I was 30. No shorts or abandoned novels or anything. I was miserable working a government job and I just up and quit one day. While sitting around my house, enjoying unemployment, I stumbled across JA Konrath’s blog and read up on self-publishing. A few weeks later, I was typing away every day. It sure beats working for the government. The first piece of fiction I ever worked on was a novella titled Echoes, which centered around a man who gained telepathic abilities from a traumatic brain injury. It sucked. But I published it anyway, because I didn’t realize how bad it was at the time. 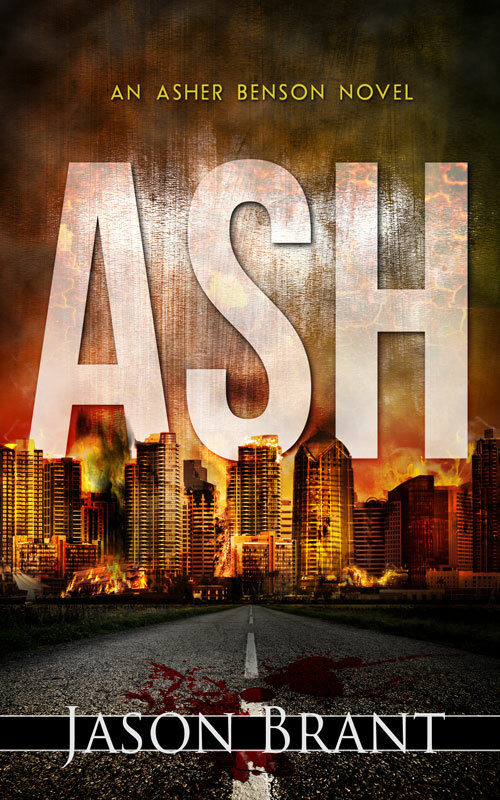 A year or two later, I took it down and rewrote it into a novel titled Ash which is now the most popular work I have. You frequently mention your Asher Benson series and it seems these books are the ones people are most familiar with, but what about your three standalone novels? Could you tell me a bit more about those? The Gate is a sort of Lovecraftian story that pokes fun at ghost hunters. It was my first novel and a total blast to write. Monsters and douchebags. My kinda story. The Dark is set in the same universe as The Gate, but isn’t a sequel. It revolves around a living darkness that descends upon the city of Aberdeen, MD. Anyone caught without a light source dies a horrible and nearly instantaneous death. This book is the one that kind of put me on the map for a lot of people and allowed me to pay my mortgage. Aces High is a novel co-written with romance and fantasy author Elle Casey. She’s brilliant and a NYT bestselling author, so who knows why she agreed to write a book with me. I imagine she regrets that decision to this day. The book is very different from my other stuff and is more of a young adult novel than anything else. Elle is hilarious and her humor runs rampant throughout. Not only are you a writer, but you have several podcasts. How did Drinking With Jason, So Bad It’s Good, and most recently Final Guys come into being. I initially started Drinking with Jason to meet other authors. Typically, I don’t do book signings or conventions, so I’m a bit on the outside when it comes to knowing others in the community. The podcast was a good way to spend an hour talking to my peers. Unfortunately, I don’t do the show as often as I should because scheduling artists for interviews is akin to herding cats. So Bad It’s Good is just to express my love for bad movies. It’s an enormous amount of work with no return, but we have a blast doing it. It also suffers from painfully bad production quality, just like the movies we’re enjoying. Final Guys is an idea I’ve had for a few years now, but finally decided to pounce on in 2017. 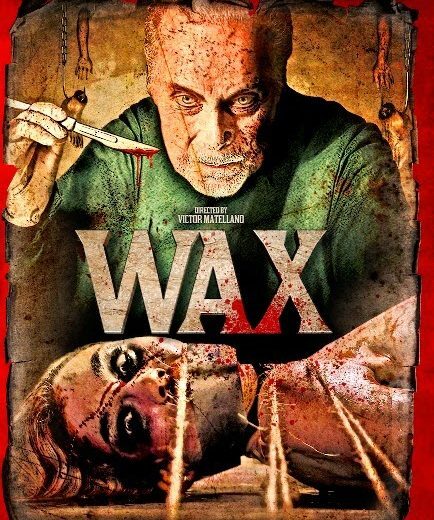 I consume an enormous amount of horror and haven’t had an avenue to talk about it. Jack and Hunter suffer from the same horror obsession, which made them perfect for co-hosts. We have a lot of fun doing it and between the three of us, we’re able to curate a ton of movies, shows, and books which is hopefully useful to our listeners. Rumor has it you’re working on some new material. Can you give us a hint at what this is and when it might be ready for the public? 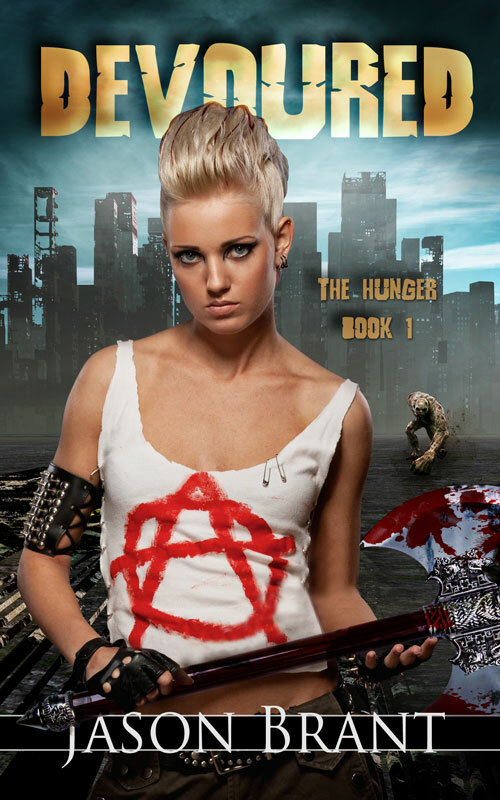 I’m close to finishing the fourth book in my series, The Hunger. It’s actually the beginning of a new three-book arc that I’m hoping to finish by the end of the summer. After that, I have more to write in the Asher Benson series and have several ideas for standalone novels. Where can people find out more about all things Jason Brant? www.authorjasonbrant.com is the best place. You can find my books and social media links there, along with my stupid side projects. And www.finalguys.com for the podcast and a bunch of horror movie and book reviews. Now that Dark Hollow Road is reaching the finish line of being out and about in the world, I thought I’d step back and recap on the other titles I have out there for those who may have missed something along the way. Secrets of the Scarecrow Moon is a Murder-Mystery full of paranormal elements. A mysterious death sends one investigator deep into her hometown’s dark and bloody past. It’s a past the local coven of witches would rather keep buried. Can justice be served or will the witches succeed in keeping their centuries-old secrets intact? That’s What Shadows Are Made Of continues the paranormal Murder-Mystery theme. No Rest For The Wicked takes a sharp turn away from the previous two releases. Oh, there’s murder, but the mystery isn’t who did it, but the dark reasons behind the violent deaths. The Witch’s Backbone Part 1: The Curse is a creepy coming-of-age tale. Available on Kindle and in paperback here: The Witch’s Backbone Part 1: The Curse. 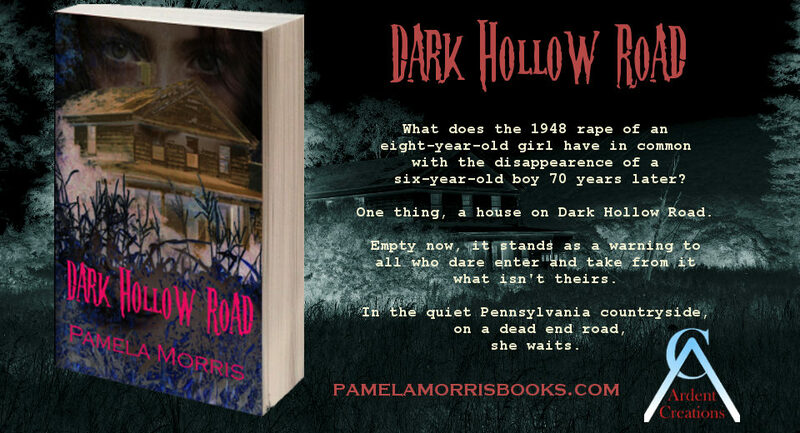 Dark Hollow Road is all that the name implies, a journey into the darkest hollows of the human condition, where the real monsters of this world are made. This is it, folks. We’re down to the wire. Check out the trailer then buy the book! Don’t read eBooks – no worries. The FULL RELEASE happens MARCH 23rd. Between now and then I’m hoping to do something I’ve never done before … stay tuned! 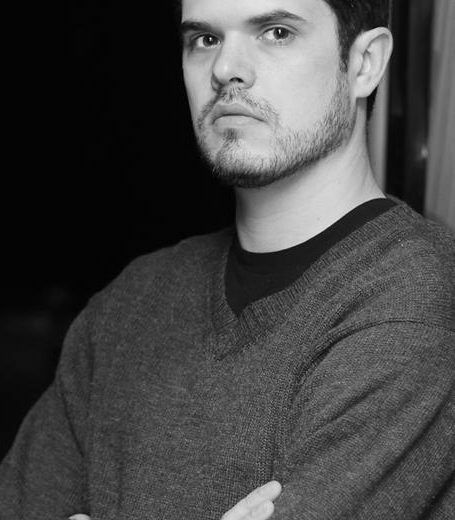 UK author, Mark Cassell is the best-selling author of The Shadow Fabric, a novel so rich with dark mythos he couldn’t keep it contained in one book. From page one, I was sucked right in, thankfully not by the actual Shadow Fabric. I haven’t read a book so fast in a very long time and am eager to learn more about the world Mark’s created as well as the writer himself. 1.Thanks for agreeing to this interview, Mark. Can you tell us a little bit about how you got started as a writer? Was it childhood dream or something you fell into more recently? I blame my English teacher, Mr. Brown – Damn, that was way back in 1991. He told me I had more potential than just the class jester, so I wrote a werewolf story titled “Moons of Blood” and gave that to him. At first he accused me of plagiarism, but when he saw my scribbled notes he soon believed it was my work. It was James Herbert and his magnificent novel, Magic Cottage that started it all. From there, Clive Barker and Brian Lumley massively inspired me. And I guess you can’t be a horror writer without reading at least one novel by Stephen King. These days, I don’t read as much as I’d like, though when I do I may occasionally pick these guys up again. Back to my roots, you know? 3.As I mentioned earlier, I just loved The Shadow Fabric. There’s got to be a mountain of research behind this whole series. What was the inspiration behind the story and mythos and how fleshed out was your research before you started to actually write it? The Shadow Fabric as a title came to me in 1992 and it remained precisely that until 2013 when I figured I was big and ugly enough to start taking this writing game seriously. As far as the research goes, I began jotting down all the typical horror tropes we’ve come to drown in. Anything to do with demonology and witchcraft, I set about turning it all on its head. I never intended to rewrite history, it just happened. It took hours of head scratching, planning and plotting. Though I must say, I am shocked and humbled at how well received the Shadow Fabric mythos has become. And it’s still unravelling. 4.You haven’t limited yourself to strictly horror, either. You’ve also done a book of Sci-Fi short stories. Tell me a little bit about Chaos Halo 1.0: Alpha Beta Gamma Kill. Can fans of this genre look forward to anything more substantial from you in the future? The guys from Future Chronicles are keen for me to pick this up again so one day there will be more. It was through their cosplayers that Chaos Halo became a thing. Maybe there’s a novel there somewhere. 5. You’re most recent release, In The Company Of False Gods, looks very intriguing. 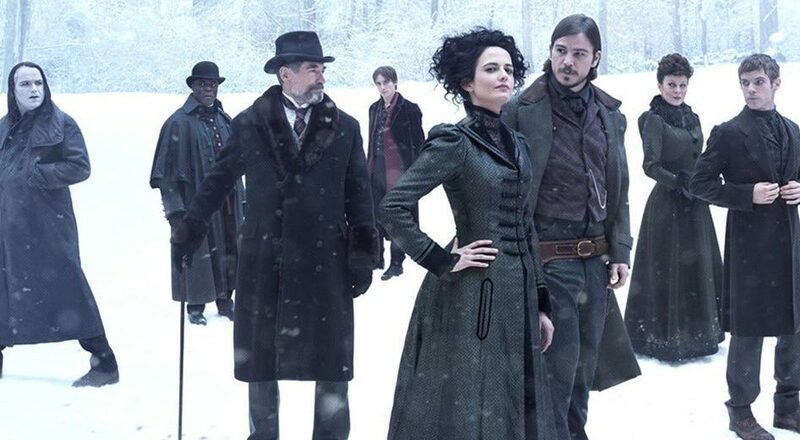 You’ve dubbed it Lovecraftian Steampunk Horror. Would you explain more about what that actually means and could you give us the elevator pitch for this latest title? Inspired by HP Lovecraft’s cosmic horrors, In the Company of False Gods is a novelette set in an alternate Victorian era. The story follows wheelchair-bound Attacus whose clockwork creation runs amok and leads him to the threshold between worlds. 6. Thanks for taking part, Mark. Where are all the best places to find out more about you and your work? Mark Cassell lives in a rural part of the UK where he often dreams of dystopian futures, peculiar creatures, and flitting shadows. 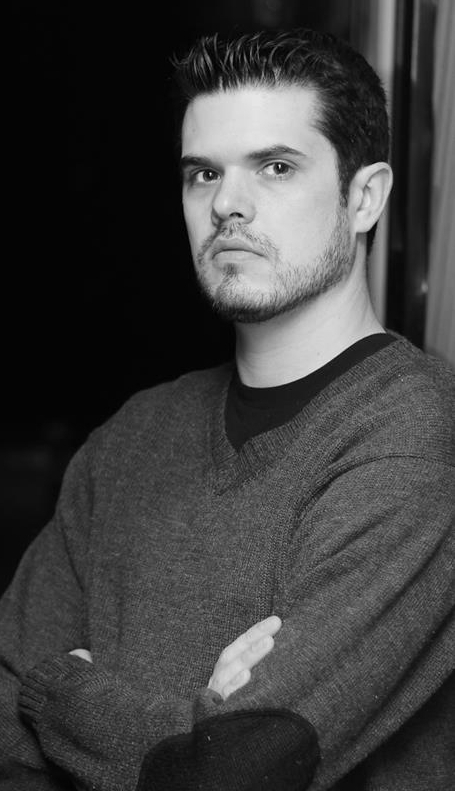 Primarily a horror writer, his steampunk, dark fantasy, and SF stories have featured in numerous reputable anthologies and zines. His best-selling debut novel The Shadow Fabric is closely followed by the popular short story collection Sinister Stitches and are both only a fraction of an expanding mythos of demons, devices, and deceit. 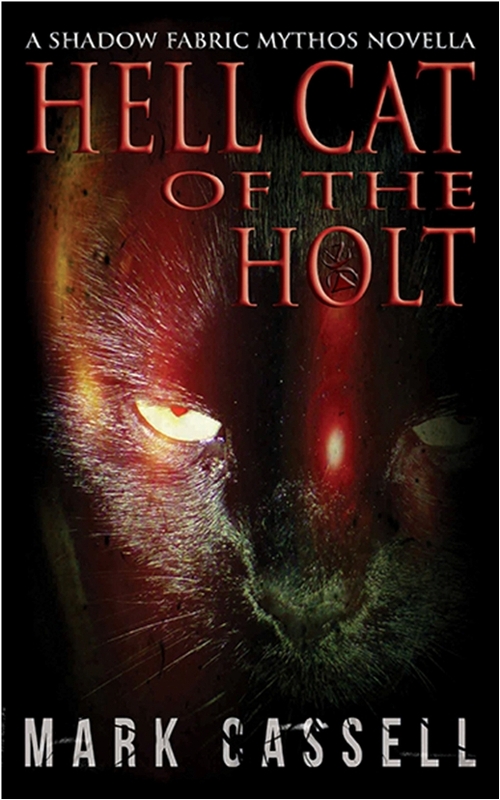 The novella Hell Cat of the Holt further explores the Shadow Fabric mythos with ghosts and black cat legends. The dystopian sci-fi short story collection, Chaos Halo 1.0: Alpha Beta Gamma Kill, is in association with Future Chronicles Photography where he works closely with their models and cosplayers. 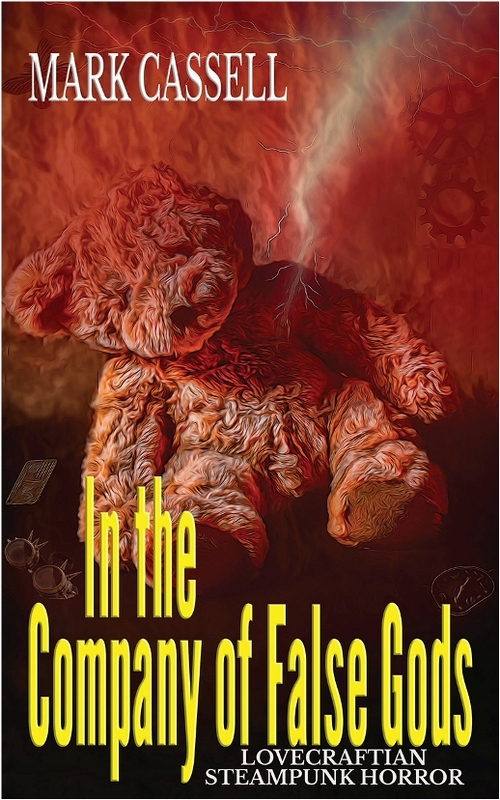 His latest release, In the Company of False Gods, is a Lovecraftian steampunk horror story about one man who had no idea his creation would take him to the threshold between worlds. 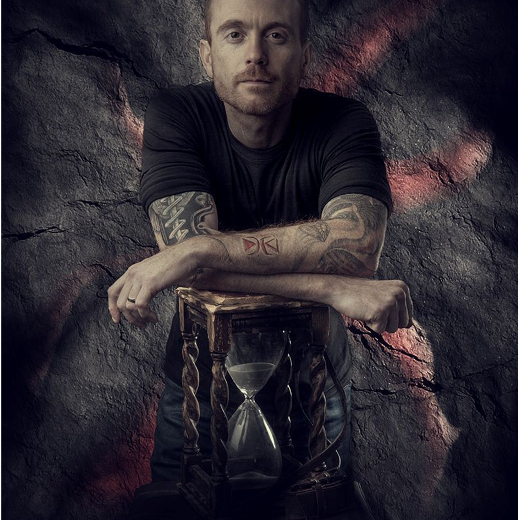 Mark’s work has been compared with British horror authors such as James Herbert, Clive Barker, Dennis Wheatley, and Brian Lumley. Also, his influences spread over to the US where he admits to having been first inspired by Dean Koontz, Stephen King, Dan Simmons, and H P Lovecraft. After being hit by very hard times, fourteen-year-old West Ridley and his parents are forced to move in with his ornery grandfather, Abraham. As if living with the grumpy and less-than-hygienic old man isn’t bad enough, the old family farmhouse is falling to rot and ruin and Grandpa couldn’t care less. In fact, he seems to intentionally want to drive them out with insults and rage. But, the family has no other place to go and no money to get there if they did. Buttermilk Creek, Pennsylvania is the bottom of the barrel, isolated, creepy, and filled with more terror than even the Horror-loving West can take. 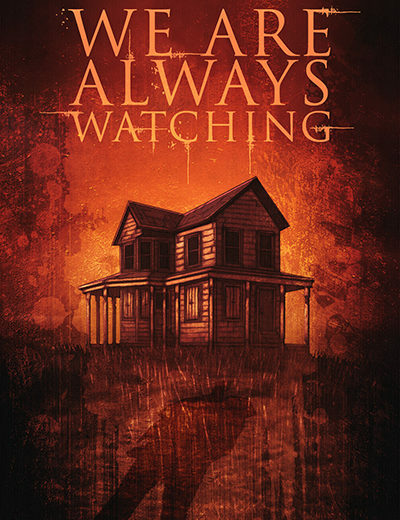 We Are Always Watching is loosely based on real events that Shea has taken and run with, twisting them into his own horrible version of a nightmare, as he does with all his work. He draws you into the confused world of West’s new reality. Family secrets start to leech to the surface while the long, hot, boredom-drenched days draw West to explore places he probably shouldn’t go. The more West finds out, the more he comes to realize he and his family need to get the hell out of Grampa Abraham’s house! Like, NOW! I enjoyed being drawn in with West. Hunter did a great job of showing us the world as seen by a fourteen-year-old boy. That, in and of itself, was pretty frightening (and funny) at time. The secrets that dripped out were just enough to quench your thirst, just in time for another bout of terror to dry the back of your throat before another promised-drop of refreshment came into sight. It kept me guessing and entertained throughout but it lacks that certain level of explosive and long-playing mayhem I’ve come to associate with Hunter’s cryptid-based novels. This was much more subtle. A much slower pace that pulled you in one little step at a time. I like that in a novel. It’s very much a slow-burn. One element I didn’t like has nothing whatsoever to do with the author’s skills or genuine talent, it’s the actual formatting of the book. I’ve never read a Sinister Grin publication before so I’ve no idea if it’s their normal practice to have the text double-spaced as it is here. It almost felt like a bit of a rip-off getting this nice, hefty book only to open it and realize it should have been about half the thickness had they single-spaced it like is normally done. I felt like I was reading a manuscript, not a finished novel.